Crime Watch: Kiwi crime writer on CWA Debut Dagger shortlist! Kiwi crime writer on CWA Debut Dagger shortlist! As part of CrimeFest 2010, which is currently being held in Bristol, the shortlists for several of the 2010 CWA Dagger Awards have been announced - including the shortlists for International Dagger, Gold Dagger for Non-Fiction, Dagger in the Library, Short Story Dagger, and Debut Dagger. And in amongst the final category its great to see a hitherto-unpublished Kiwi crime writing name in the mix; Bob Marriott, for his story In the Lion's Throat. As I noted in a blog post last November, the CWA Debut Dagger Award was established in 1998 and is open to all writers who have not had a novel published commercially. Since its inception, 18 winners and short-listed authors have obtained publishing contracts on the strength of their entries. Several have gone on to much continued success, including winning other major awards (e.g. Louise Penny, Alan Bradley, Allan Guthrie, Joolz Denby, Ed Wright, and Barbara Cleverly). So it's fantastic to see another Kiwi crime writer coming through, and getting their name known via an award that has certainly sparked some fantastic crime writing careers over the past decade or so. Earlier this month, prior Debut Dagger shortlistees Louise Penny and Alan Bradley both scooped Agatha Awards at Malice Domestic. In terms of comparing entry into the CWA Debut Dagger vs taking your chances in the slush piles of literary agents and publishers, 2007 short-listee and now published author Dorothy McIntosh has previously recounted the following story about fellow entrant and now Anthony and Agatha Award-winning published author Lousie Penny. "Louise’s first manuscript endured many rejections before she entered the Debut Dagger competition. Her entry achieved achieved the ‘highly commended’ category and, as a direct result, she found an agent. Today, Louise is a much loved and widely read author who has won many awards for her work. Her latest novel A BRUTAL TELLING just debuted on the New York Times best seller list." Hopefully Kiwi writer Marriott, who I understand may have worked as a journalist (freelance at least) for the likes of NZ Listener and The Press in the past, can similarly be noticed then published. It's great to see more Kiwi crime writers coming through, joining the growing ranks we have in this country. I understand HarperCollins NZ also has another debutant crime writer being launched later this year - so there's definitely a burgeoning crime wave down this way. 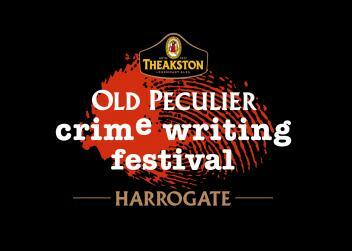 The winners of the various Dagger shortlists announced this weekend at CrimeFest, will be announced at an event staged on Friday, 23 July 2010, 6 – 7.30pm, at the The Crown Hotel, Harrogate during the Theakstons Old Peculier Crime Writing Festival. The shortlists for the John Creasey (New Blood), Ian Fleming Steel and Gold Daggers will be announced later in the year and these Daggers will be awarded at a televised ceremony in the Autumn, as part of the Specsavers Crime Thriller Awards. as it comes to hand. If you have any information, please feel free to share it.